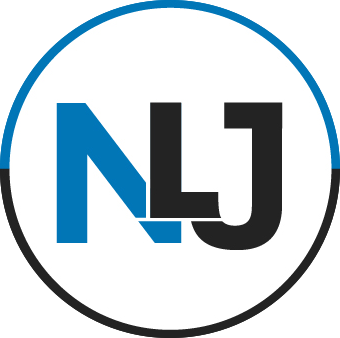 Hi, I’m Nichelle Jenkins, Founder and President of NLJ Consulting + Coaching – and that’s no typo. My parents planned to name me Michelle, but on my birthday, 3 had already been born. Replace “M” with “N.” I was not born to follow the crowd. But, I’ll be honest: it took me some time and some coaching to ultimately recall this truth. I graduated college as an honors student-athlete with Bachelor’s degrees in marketing and French studies. An avid athlete since childhood, I was elected captain of our Division 1 women’s basketball team. As graduation neared, I thirsted for even broader educational experiences. So I was the first student-athlete in my school’s history to study abroad in a 1-year long exchange program at the Université de Lausanne in Switzerland. There, all my coursework was conducted in French. Upon graduation from college, I came very close to living and studying in Austria. I was actually accepted to an international business program there. But the familiarity of home, as well as a desire to serve my community, tugged at me. I had been raised believing that to whom much is given, much is also required. So I returned stateside and studied law. I completed a J.D. and then a Master of Laws in employee benefits and was a prosecutor and an employment law litigator in government agencies and private law firms, including my own, in Illinois, New Jersey, Texas and New York. A highlight of my legal career was my designation for 3 consecutive years as a “Rising Star,” one of the top lawyers in Houston, TX in the field of plaintiff’s employment law. But deep down, I felt that there was a greater call on my life to serve: one that combined my gifts in an inspiring, powerful, and unique way. So I completed a Master’s Degree in theology and immediately began working in higher education administration in charge of admissions, recruitment, and financial aid at a seminary and graduate school of theology. In this role, I helped the school exceed objectives by doubling and holding steady admission in one of its 5 programs, increasing yield on first offers to top applicants by over 40 points, and creating a culture of radical hospitality for prospective students. During this time, people also engaged me to coach them or consult with their organizations. I had also been speaking in and serving churches for years. And because our truth persists, it was not long before the coaching and the consulting, the speaking and the serving that I had been doing part-time began feeling like the thing that I should be doing all the time. I loved partnering with others as they boldly pursued their dreams. I loved helping people uncover what was meaningful to them and designing innovative and authentic ways to achieve their wildest imaginings. Coaching and consulting weaves together my innate sense of justice with my legal, marketing, and sales skills and my training in theology. Thus, my professional and personal journey over the last 15 years has returned me to the simple bold truth established when my parents replaced “M” with “N.” And I founded NLJGroup, where we believe that each of us is called to go boldly where others have not. Because boldly living our authentic truth is our greatest, and ultimately most successful, offering to the world. Bold is better. “Nichelle and her work came highly recommended to us as we sought to create a panel for a breakout session tailored to women of color at the kickoff 2018 Courageous Conversations Conference as part of FPWA’s Center for Leadership Development work. Nichelle moderated the panel, held space, interacted with the audience, and gave all facets equal and appropriate time and consideration with skill, authenticity, and a sincere likeability that is not easily found or replicated. Her presence was not only memorable, but unforgettable. Nichelle made such an impression that we asked her to join us a short time later at the closing session. There, she moderated another panel and delivered a rousing call to action to program graduates and the leadership in the organizations in which they work. “On behalf of the Music and Worship Committee and congregation at Church of the Master I am writing to say that, during your sermons, you bring us what I call “spiritual energy and information transfusions.” Your friendly but firm manner of communicating with us during fellowship is a true heads-up for other ministers. During your sermon last Sunday your words on the complexities of authority were right on the money for us, as we prepared to call a new pastor. I tend to stop taking notes while you preach. I’m afraid of missing something. “I met Nichelle through our shared work in a graduate recruitment and admissions cooperative comprising enrollment management professionals from a select group of the nation’s premier university-affiliated divinity schools. Notwithstanding the member institutions’ status as competitors in an increasingly crowded market, the group’s efforts were predicated on the wager that cooperation in the work of admissions outreach and best practices would redound to the benefit of all. On a basic level, I never doubted Nichelle’s good faith participation, her energy and attention, or her candor, such that she quickly became, and remains, a trusted partner and colleague. More significantly, my own work benefited greatly from Nichelle’s singular capacity to articulate the value proposition of a theological education—which is a species of her estimable gift for mission-and-vision work, generally. She is an engaging and dynamic public speaker and leader, and she commands the faith, confidence, and commitment of her audience and her team. “The National LGBTQ Task Force engaged Nichelle and NLJGroup to conduct an external review and report containing recommendations following a major disruption during our annual Creating Change Conference, held in January 2016 in Chicago. The disruption, which involved a reception and a protest of the reception, was upsetting to a number of conference participants and presented significant organizational challenges for the Task Force. The Task Force was eager to learn from the situation and engaged Nichelle to conduct telephone interviews with nearly 20 stakeholders, located in various parts of the U.S., including individuals involved in the reception or protest of the reception. Because The Task Force was so deeply committed to learning and improving following the experience at our conference, it was critical that we retain someone like Nichelle. Someone who, by virtue of her span of expertise across fields of law, organizational development, and theology, could be attentive to all of the complex issues that arose. The Task Force took Nichelle’s recommendations to heart and they were ultimately incorporated into another consultant’s report that assessed the conference more broadly. The Task Force implemented a number of NLJGroup’s recommendations, some explicitly, related to community norms, security, culture, and mission clarity, and 2017 conference attendees responded positively to the changes. NLJGroup would love to partner with you as you journey toward a bold new outcome. Contact us today. We look forward to hearing from you. To book Nichelle Jenkins for preaching or other engagements, please email nichelle@nichellejenkins.com, or use this form below.